Leaders of a Manitoba group representing people with disabilities warn the organization may have to curtail operations, saying tens of thousands of dollars in annual funding from the province has been denied. 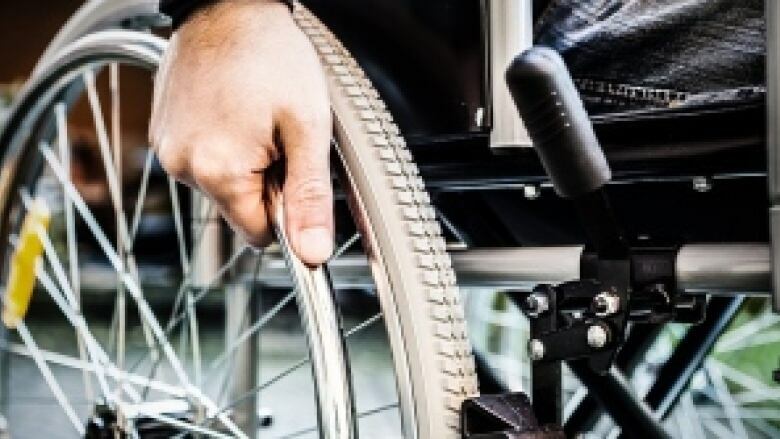 A Manitoba organization that helps people with disabilities may have to curtail operations after it failed to get the tens of thousands of dollars in annual funding from the province it has relied on in the past, its leaders say. Jennifer Sande, provincial co-ordinator for the Manitoba League of Persons with Disabilities, said the organization had to lay off some staff and reduce all remaining staff to part-time hours, after recently learning its application for $50,000 in core funding for the 2018-19 fiscal year had not been approved. A letter sent to members says the organization may need to wind down operations until it can find a new source of funding. "We're at the end of the options," Sande told CBC News. "As of April 1, we're really not sure where we'll be." The Manitoba League of Persons with Disabilities is a non-profit organization that works to promote accessibility and inclusion for people of all abilities. When the MLPD started in the 1970s, it primarily acted as an advocacy organization, Sande said, but the league has since branched out into education and social enterprise work, which includes helping organizations to become compliant with the new Accessibility for Manitobans Act, which went into effect Nov. 1. She worries that work will be affected by the cuts. "Most organizations … want to make sure that they are following to the letter of the law, but they also want help in understanding why it matters to folks that are living with disabilities," she said. "When we understand how it affects others, it makes it so much simpler to make the decisions around how to be accommodating and how to provide that accessible space." A government spokesperson said the league's funding agreement ended after the 2017-18 fiscal year and was not renewed, and the funding request for next year (2018-19) was not submitted in time. "Funds for this year had already been allocated to other organizations and programs," the spokesperson said in an email. The league's application for the 2019-20 fiscal year "remains under consideration," the spokesperson said. Sande said confusion over how the funding was to be allocated led to the late application for the 2018-2019 fiscal year. "One of the problems that we have is that we don't necessarily get multiple-year funding agreements, and in the past we have had three-year terms," she said. "We did get funding from the province of Manitoba the previous fiscal year.… I thought it was a really good fit and I assumed that there would be an opportunity to continue that. But I guess they've had other plans." Alan Bridgeman, who chairs the league, is hopeful the funding returns for the 2019-2020 fiscal year. Bridgeman, who has a visual impairment, said the group provides unique and diverse perspectives on accessibility for those living with disabilities, something he fears will be lost with the lack of funding. "I think MLPD has a really nice cross-sectional piece to it," he said. "I know for myself, I've had interesting conversations with people with very different disabilities than my own, and they've come up with some very interesting solutions for the problems they've had that were definitely applicable to me." Sande said the league is looking at options, including hiring contract workers to make it through the budget crunch. The MLPD is also turning to private donors, but Sande fears that resources could also be threatened by the loss of provincial funding. "I don't think people often realize that when we go to donors, whether that's private sector, the general public or other foundations, they look at your balance sheet and say, 'You've got provincial funding. We know that your core is sustained,'" she said. "It allows us to leverage that money and get other private dollars. I know that governments face a lot of challenges. I just hope that there's an opportunity to revisit this idea … so the voices of people with disabilities can be heard at the table where decisions are being made."